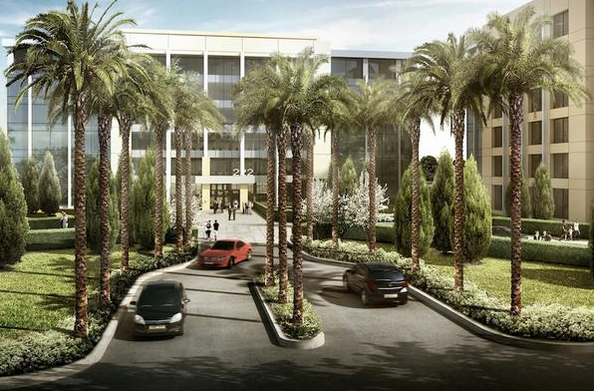 South Bay Development is moving forward with a 615,000 SQFT speculative office project in North San Jose at the intersection of Highway 237 and North First Street. Speculative means that they are building this without a specific tenant in mind. These types of projects typically only get built when the office market is on fire. It's a common practice in Palo Alto and Mountain View, but unfortunately there have not been many "spec" projects moving forward in San Jose. Perhaps that is about to change. Construction is now beginning on the first phase of the $100 million project, which is broken across four buildings that will be six-stories or so each. 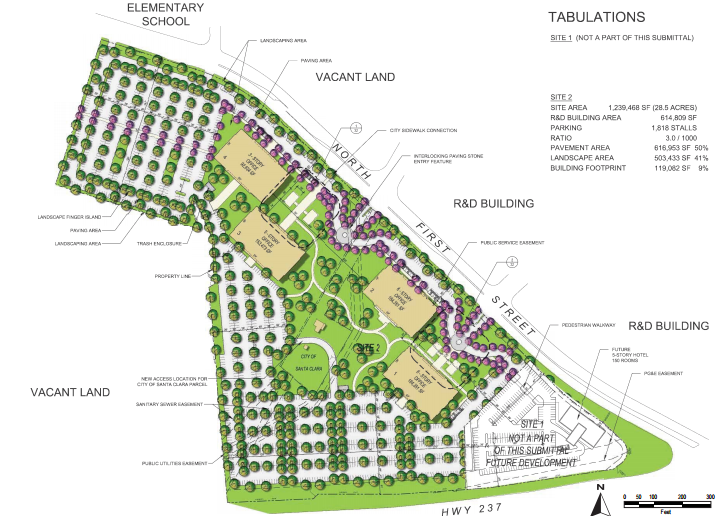 South Bay Development acquired the land from Cisco three years ago. The project will also include some of the fun amenities that tech workers have come to expect such as outdoor space with volleyball, basketball, and bocce courts. 237 at First should be completed by June 2016. Unfortunately there is no retail incorporated into this project, but the @First shopping center is just down the street and a new 150-room Homewood Suites by Hilton will also be built nearby. Now that office vacancy in all of Silicon Valley is below 10% and asking rents have increased 25% over the last four years, it won't be long before more of the surrounding vacant land is filled up. Suburban sprawl at its finest! Nice one. About time San Jose scored some of these types of projects instead of just housing (which is a drain on city finances and the reason we are so poor compared to cities like Santa Clara, Sunnyvale, etc.